Roman Lukš - Losing bath. Hola! Hello! Guten Tag! This is my 7th post about Digisemestr and there are six more to go. See my first post to find out what it is all about. Please, let me know if there are any mistakes. Don’t let me broadcast nonsense! This lesson is focused on Google Analytics and attribution modeling. These are my notes from the 5th Saturday of Digisemestr, Thirteen-Saturdays-long study program of Digital marketing. Why Digisemestr? if you find any mistakes, please let me know, thanks! This lesson was all about social networks, community building and influencers. And guess who stopped by to talk about brand strategy? Mark Ritson! He’s master Yoda of marketing. What an honor! Even though there was a lot of swearing. What’s Digisemestr? Why do I blog about it? You can find out here. As always, please if you find any mistakes or errors, please let me know (comment, send email, message on LinkedIn, etc). The fourth Saturday was mostly about display ads. There were a bunch of speakers this time. I’m studying Digisemestr and blogging every week to help me memorize it all. What’s Digisemestr? 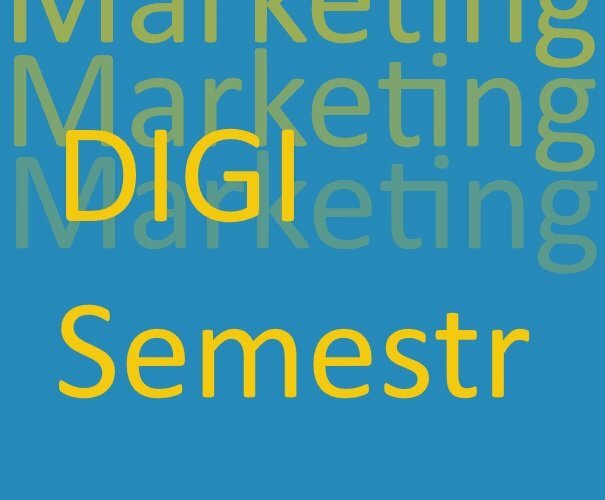 It’s a prestigious semester study of digital marketing happening every Saturday. And what are learning there? To name a few: SEO, Link building, PPC, RTB, Retargeting, Social media, Marketing tools, Analytics, Branding, Copywriting, Content marketing, NPS, Loyalty programs, Marketing strategy, CRO, A/B testing, UX, Emailing, Growth hacking. One last thing before we begin, if you notice any mistakeZ, please get in t0uch with me (comment here, send me an email, message me on LinkedIn, etc) so I can fix ‘em. Don’t let me spread nonsense! Thanks! This time we were talking about PPCs and our teachers were Karel and Petra. Mainly, we discussed Google Ads (previously AdWords) and sometimes we mentioned similar Czech platform Sklik.cz. There are others though.